40 offices. 30 countries. 250 consultants. 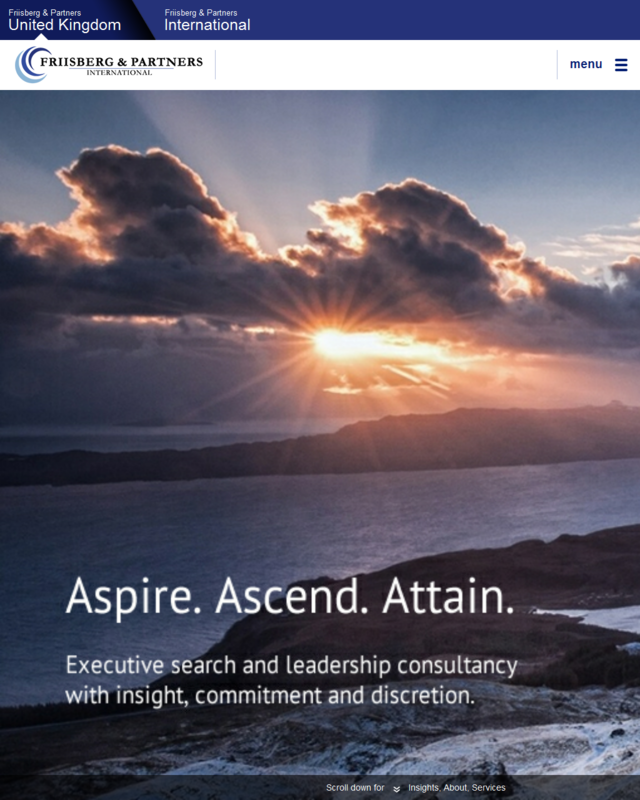 Executive search and leadership consultancy with insight, commitment and discretion. "Friisberg & Partners International has the combination of experience, knowledge and reach to help your business recruit, retain and develop talented executives and senior management for regional, national and cross-border roles." Ours is a partnership that offers clients the powerful combination of local market knowledge and genuinely international coverage, with personal advice and first-hand support from our partners, all of whom have many years of experience. We are proud to be a firm that is 50/50 female/male owned and run, and as such, an exemplar of gender balance and diversity. Our success in working with many of the world’s leading businesses speaks for itself.